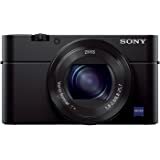 Get closer to the action The Sony Cybershot RX100 Mark VI, is just the latest in a line of high-performance RX100 cameras from Sony, for the first time including a high-magnification 8X Optical Zoom lens. The 20.1MP 1.0-type Exmor R CMOS Sensor and updated BIONZ X processor deliver the same high-end quality that still bewilders users. How can such a small camera take such excellent photos? Further benefiting the usability of this impressive little shooter is a fast hybrid AF system, which includes 315 phase detection points and results in AF being acquired in around 0.03 seconds. The high-speed continuous shooting rate of 24 frames per second comes without any catches, with the pictures being captured in the same high-resolution, while 4K videos are also possible for you lovers of video. Premium Zeiss Lens As we previously alluded to, The ZEISS Vario-Sonnar T* 24-200mm f/2.8-4.5 lens included in the RX100 Mark IV is longest and highest-performance piece of glass utilised in this range. As well as the versatile wide to telephoto range that is capable of framing virtually any subject, this lens promises impressive resolution, edge to edge, throughout the zoom range. 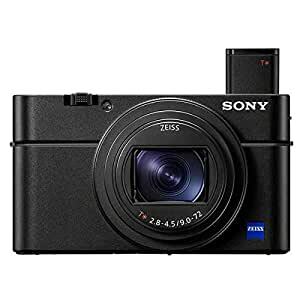 Frame your images, your way The touch sensitive, tilting LCD at the back of the RX100 IV makes it a breeze to frame and shoot selfies, while the high-resolution 2.35 million dot EVF is optimal for precision composition and for shooting in bright situations.